This year’s T-130 SR comes with some very exciting features. 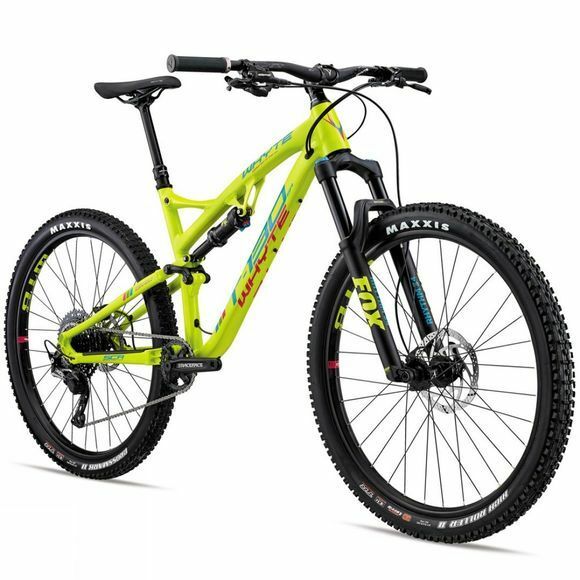 It’s capable aluminium frame handles superbly, taking you up and down any trail with finesse and confidence. And, graced with a Shimano SLX M7000 11 speed drivetrain with shadow technology, it has the gearing to tackle any undulating challenge the trails throw your way. The T-130 SR also marries WTB STp i29 rims with TR Maxxis tyres for a Tubeless ready wheelset. 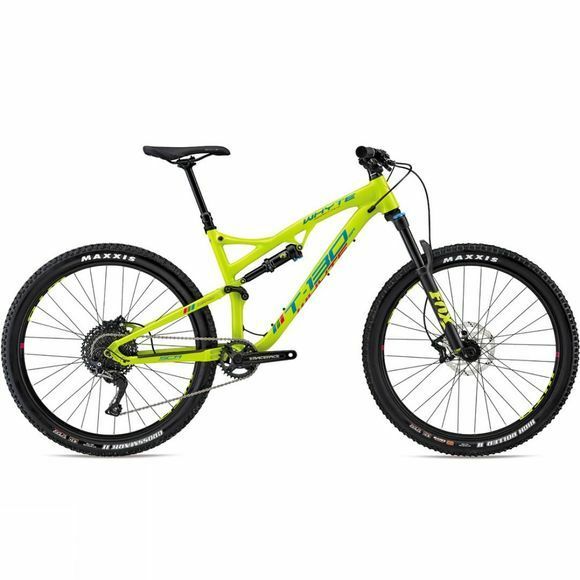 When this works with the Fox Rhythm 34 fork and Fox Float DPS double chamber rear shock that Whyte have featured on this dynamic bike, it gives the T-130 SR an incredible ability to tame your favourite trails. This more than capable bike has been finished off perfectly will all the finer details that we have come to love from Whyte. Huge mud clearance gives you plenty of scope to play through the winter, even in the British climate. Fully internal cable routing with seals prevents any water or mud from entering the frame. And, a weather proof clamping system on the seat post makes this bike ideal for anyone wanting a ride that will take them through the winter with minimal maintenance requirements.